For spring break, I paid to study abroad in Cuba. A week of food, new language, drinks and magnificent sights branded Cuba into my memory, expanding my worldview. The country is changing, available to students lucky enough to see it. Through my personal journey and observations, I implore: study abroad in college. As we stepped out of the crowded airport, the prevailing smell of palm trees, sweet sugar cane and smog bludgeoned my nostrils. A dry heat accompanied the cloudless sky. Cool breezes tickled our legs and necks accustomed to the cold Kentucky winter. We were in a new country. Thanks in part to tourism, Cuba’s economy generates billions. That revenue and increasing efforts to bolster it have changed the country over time. During our trip to Cuba, differences in social and political values became apparent. Our field research on the Cuban economy, however, allowed more subtle analysis of the culture. While socialism governs, the country allows citizens to start their own businesses or offer services privately. Entrepreneurial taxi drivers, waiters, waitresses and businesses lined many streets. Non-state workers currently account for nearly 27 percent of the work force, and numbered more than 424,000 in 2013. While the venture is scary for some, the rewards have benefited Cuba. 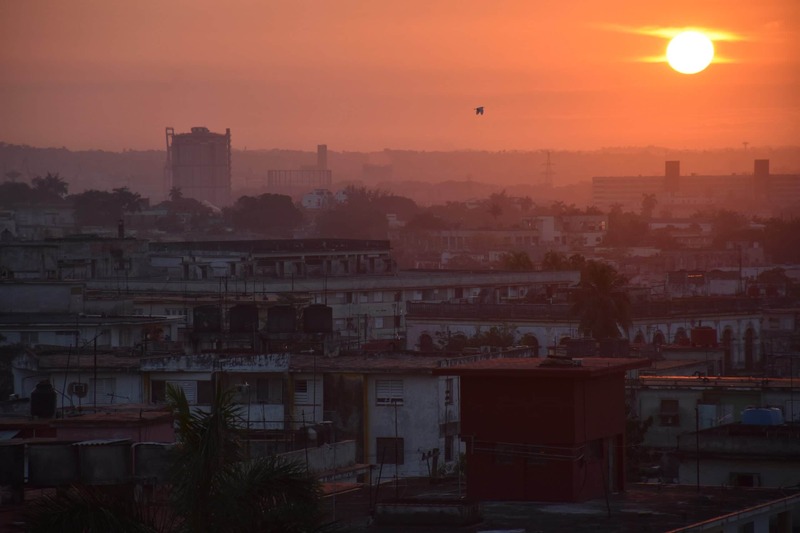 Cuba’s Gross Domestic Product, a gauge of economic health, grew by $5 million between 2012 and 2014. Services make up a majority of Cuba’s wealth, accounting 72 percent of the GDP. Closer American ties have flooded the country with tourists, all meeting Cubans. The number of visiting Cuban-Americans has steadily increased, shifting hardened perceptions. Pew research found more Cuban-Americans find values in common with their native counterparts. Cubans are progressively finding more shared values too. Divisions still exist, but the country is working toward more economic freedom and friendlier relations with the U.S.
That doesn’t make it an entirely welcome change. Statues, busts, murals and streets commemorated ghosts of Cuba’s past. Jose Marti, Che Guevara and Fidel Castro stared from the almost every corner in the form of art or name. Sayings like “socialism or death” or “patriotism or death” branded currency and walls close to our hotel. Most subtle, I imagine, were the changes in Cuban culture and language as tourism and entrepreneurship flourish. At least 70 percent of the storeowners, vendors or cab drivers we encountered spoke some English. Whether that could be blamed on U.S. influence on national businesses, it’s not insane to assume these entrepreneurs began learning more English in response to growing numbers of tourists visiting the country. Renovated buildings stood next to dilapidated ones, and signs written in various languages instructed visitors and natives what was being offered at vendors’ stalls. The relative newness of American visitors to the island helps Cubans take advantage of the cash influx, as they often over-charge. Yet, the entrepreneurs seemed to be in better condition than government-sector workers. Often, government workers ask for tips or money, emphasizing their need for cash. It’s unknown what effect further American tourism will have on Cuba. Already, it’s language, revenue options and values are changing in response. Regardless of these changes in values and money, fundamental parts of Cuba, I believe, will not change. The overwhelming sense of community enveloped all facets of our trip, from walking the dark-lit, crowded streets to eating in restaurants. We had the privilege to capture Cuba with large remnants intact, untainted by American capitalism and values. Though change is imminent, it’s not all-encompassing. I imagine if we go back some day, the essence of Cuba will remain. Life is too short not to explore something new. Whether freshman, sophomore, or last-semester senior: study abroad. Advance your textbook background to a real-world experience for a perspective books can’t capture: yours. The trip will expand your worldview, introduce you to new people and experiences, and leave as big an impact on yourself as you allow it to. Whether it’s Cuba, Panama, Europe or China, traveling is an experience within itself.